HP800 Series IP67G Oil Resistant Photoelectric Sensors for Harsh Environments. 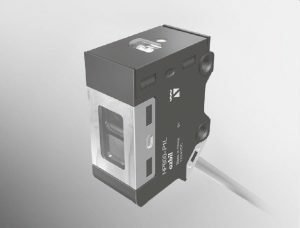 The HP800 series self-contained photoelectric sensor is designed for harsh environments like machining and is resistance to most cutting oils. It has a die-cast housing for strength and shock resistance and oil-resistant body, cable, and glass lens cover. It passes the JEM IP67G tests (includes immersion in 50C oil for 240 hours) for oil solution and 2 types of water soluble cutting oil used widely in the tooling processes.